Another heads-up; Summer Sale Day 10's ship is Tirpitz. She's already live on the EU and Asia servers. 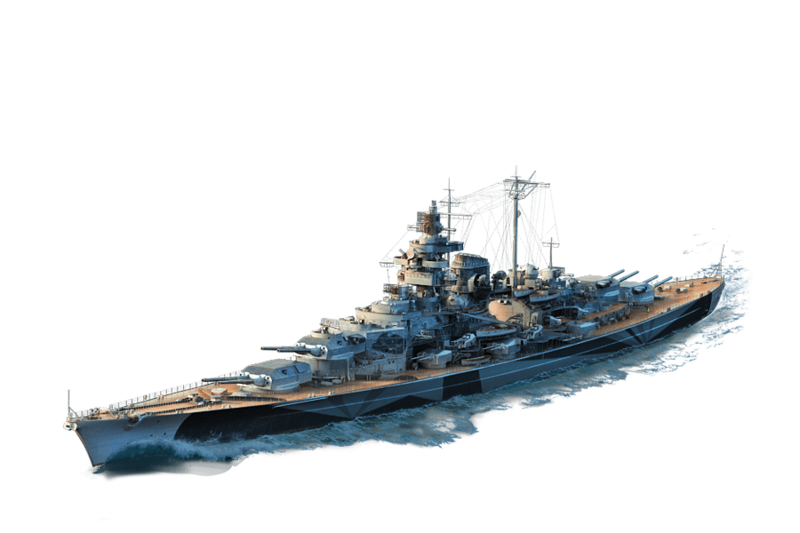 Today only: Battleship Tirpitz with a 30% discount! If you already have this ship in your Port, you will receive 8,750 Doubloons as compensation. See the Wiki for the performance parameters of Tirpitz. One of my two number-one most-favorite ships in the game (the other is Bismark). I love this ship. When things play out properly, the torpedoes add so much brawling punch that it often seems ridiculous to me. Sure, Scharnhorst gets lots of praise for awesomeness, but in my book Tirpitz will always be the epitome of the Supreme German Brawling (tm). Whelp, they got me. Two premiums in one week. Just bought the Massachusetts, now buying the Tirpitz. Or yolo rushers. Honestly, I am going to be far to aggressive in this thing. Going to have to control my urge to run screaming into torpedo range. Neither are good. I actually don't click with German battleships well. Sure I'm an aggressive player, but I feel that these days I often don't get opportunities to be that aggressive. Take one match today, for instance. Even when my team outnumbered the enemy almost 2:1, I was near the enemy base and died in the process of harassing the enemy ships there as some cruisers and destroyers were trying to cap the base. 73k damage, 2 kills. I looked at the mini-map after my death, and ALL but ONE of my team's battleships were STILL sitting in spawn. I asked them move to up and fight, telling them at this point in the battle they should be near, if not in the enemy base (1 enemy DD was alive but absolutely potato). Those BBs had absolutely no reason in the world to be passive at that point, and their behavior infuriated me. At the end of the battle, I wasn't expecting to rank in the Top 3 on the scoreboard, but turns out I was NUMBER ONE for God's sake when I played what I consider to be a very average, or slightly below average game in the Helena. And the next player after me had almost 400 less EXP than me (1400 for me vs 1050 for him). Not a single battleship on my team broke 1000 base EXP. Time to put the derp in Derpitz? Neither are good. I actually don't click with German battleships well. Sure I'm an aggressive player, but I feel that these days I often don't get opportunities to be that aggressive. Take one match today, for instance. Even when my team outnumbered the enemy almost 2:1, I was near the enemy base and died in the process of harassing the enemy ships there as some cruisers and destroyers were trying to cap the base. 73k damage, 2 kills. I looked at the mini-map after my death, and ALL but ONE of my team's battleships were STILL sitting in spawn. I asked them move to up and fight, telling them at this point in the battle they should be near, if not in the enemy base (1 enemy DD was alive but absolutely potato). Those BBs had absolutely no reason in the world to be passive at that point, and their behavior infuriated me. At the end of the battle, I wasn't expecting to rank in the Top 3 on the scoreboard, but turns out I was NUMBER ONE for God's sake when I played what I consider to be a very average, or slightly below average game in the Helena. And the next player after me had almost 400 less EXP than me (1400 for me vs 1050 for him). For the snipers, I kinda understand. As am aggressive BB if your support gets sunk and you have no one to spot destroyers for you you're basically a sitting duck. Its not that its extremely hard to dodge the torpedoes of a DD you know is there, its that you can do nothing to him while he does it. This is actually a reason I prefer to be aggressive, I'd rather the enemy team focus on me and leave my cruisers and DD's alive to deal with enemy DD's. For the snipers, I kinda understand. As am aggressive BB if your support gets sunk and you have no one to spot destroyers from you you're basically a sitting duck. 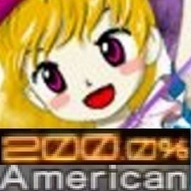 Its not that its extremely hard to dodge the torpedoes of a DD you know is there, its that you can do nothing to him while he does it. This is actually a reason I prefer to be aggressive, I'd rather the enemy team focus on me and leave my cruisers and DD's alive to deal with enemy DD's. And a lot of times that actually leads to wins. As a BB you, to a degree, should ensure that the enemy's shooting at you instead of shooting at the cruisers and destroyers on your team. The battleships on my team in that match utterly failed to divert any attention away from the smaller ships, which were doing the lion's share of the work because they weren't doing any of it. Their big guns and large HP pools were absolutely useless, and that pissed me off. Tripitz - yes was the first Premium I bought and now with 50+ used more than any other. If you are newish just watch a lot of videos on YouTube about Tripitz and Bismarck then play a lot of COop until confident to play Random or Ranked. Awesome vessel, had one for a long time now. Looking forward to finding the new players sail broadside and in a straight line for many varied ways of bringing them down! I love nothing more than inviting a German BB into their own secondaries range with my USN BB. It lets them think they can win when they're in secondaries range, when it only means I can never miss with the 406mm guns. The 16"/50 or 16"/45 American Piercing shells start ripping for lots of damage at the base superstructure and you can tell by how they start sailing, thoughts of victory start evaporating. In a close up brawl, the German BB simply have more options. Sure, the Superstructure pen can hurt them, but they saturate rather quickley. We all remember those [edited] 10k+ Superstructure salvos we ripped off of german bbs at start of battles, but what we don't remember those 3k-5k disapppointing bangs and smokes. Turning around isn't an option for an USN bb, the citadels are far from safe at less than 13km. And the rest is really at the German BBs' leisure. If I'm in a said situation in a tirpitz against, say, a North Cal, I would calmly push that North Cal if there's not an excessive enemy prescence, lock secondaries at the USN bb, slow down, present a sharp angle to the North Cal while shooting at something else. USN bbs shells are too slow, and a tirptiz is too much of a threat for north cal to shoot anything else but me, while I, with a much more comfortable shell velocity, would prefer to start shooting at his teammates with softer armor or a flatter broadside. Shaken and stirred by my secondaries, the North Cal will need to make a drastic move eventually. Reverse is not an option, since I can always follow up. Either she will try to turn around, which I will punish the broadside gladly, or try to close in for a joust. This may be troublesome given the bad rear turret angles for the Bismarck, but with tirpitz, the torpedo suite basically negates this issue. But then again, that's just my prediction of events. Funny things about premiums, especially the Tirpitz. You are told they are great for training up new commanders. Well, that's true to an extent. But if that's all you do with your premiums, well, sadness. The German BB line is a great deal of fun with the Tirpitz and GK being, imo, the most fun. Strange thing though... even though the Bismarck and Tirp are almost identical, the guns of the Tirp feel more crisp and more accurate. I can count on her more than the Bismarck. Drop a 19 pt cmdr in her with manual secondaries, flags and camo then go out and tear it up with tier 9/10 ships. It's fun I tell you. You'll find yourself almost wishing for an uptiered battle! For those saying "I have the Biz don't need the Torpitz" then comrade, you are lost. Take your Bismarck up against the Tirpitz in a brawl. How much is that hydro going to help you? How much will torpedoes help you. Yea. I got mine a long time back when there was a 50% off sale at Gamers Gate. At the time, we were not sure it was a valid offer. But it was. A limited number of them for 50% off. I thought maybe this discount would be 50% in a throwback to the GG sale but alas, I think that sale shall never come this way again. Tirpitz is my most played battleship. She is fun to play, makes darn good silver, and with the Tarnanstrich camo (which won't be included with today's sale) it has a nice Free XP boost, as well. She shoots down planes, lands secondary hits, is a T8 for campaigns, and does a lot of stuff very well. I'm pissed I missed out on earning that (real life intervened). I hope they reintroduce earning it. I purchased her today, added to my German premium collect. My go-to ship when I’m having a bad day. 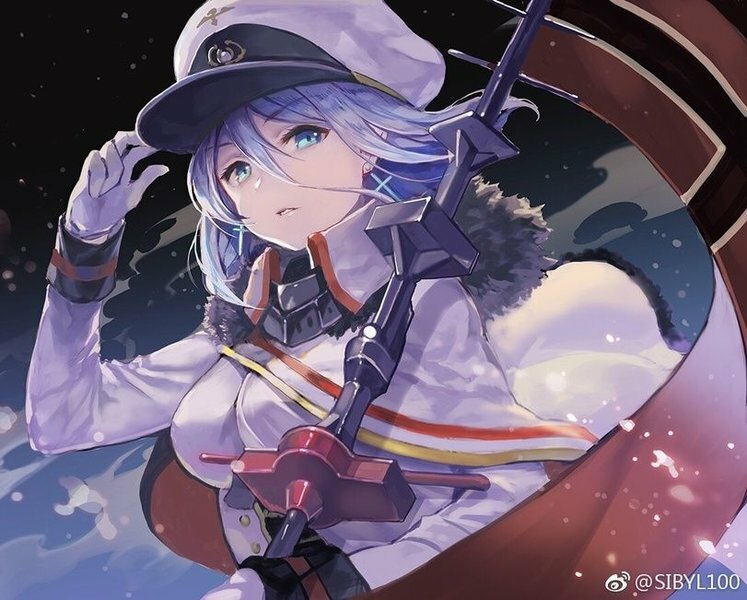 There used to be a real difference between her and her sister until WG buffed Tirpitz with the same secondaries as Bismarck. There’s no better joy than scrapping with an enemy BB to starboard while your manual secondaries are dealing with a cruiser or destroyer to port. Good times! This is actually the main reason I prefer the Massachusetts over the Bismarck now. Those 406's combined with her consistent 127's are just nasty. Well, just be ready today to see a lot of people long distance sniping in Tirps. The day the Scharn went on sale I saw a ton of them doing the same.